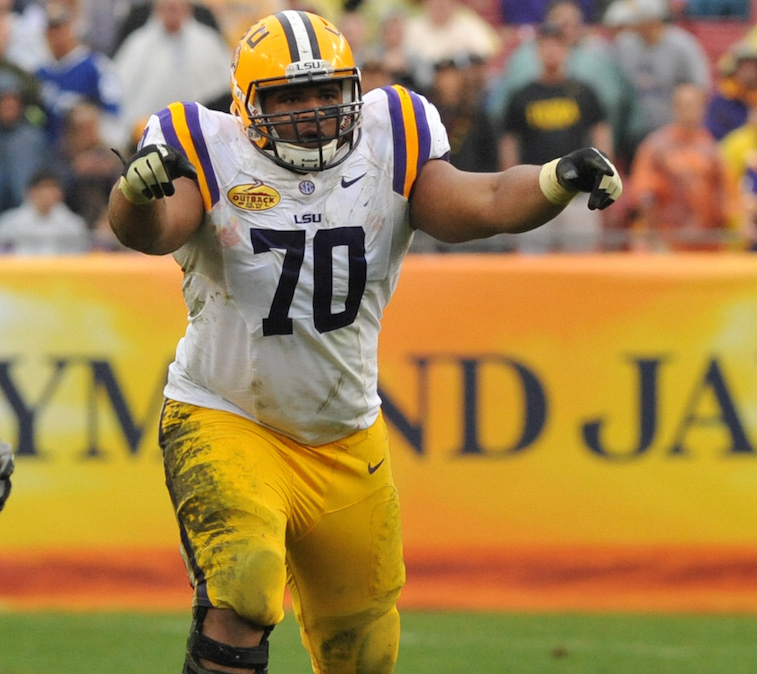 The Dallas Cowboys have officially signed former LSU offensive lineman La’el Collins to a standard three-year undrafted free agent contract. As a refresher, Collins was widely viewed as a first-round draft pick in the months leading up to the 2015 NFL Draft but saw his stock plummet after reports surfaced that the Baton Rouge Police Department wanted to speak with him regarding the shooting death of his ex-girlfriend, 29-year-old Brittney Mills, and her baby, who also died as a result of the shooting. Collins was never considered a suspect, and the results of a paternity test on Mills’s deceased child showed that Collins was not the baby’s father. Unfortunately for Collins, his association with the case led to him going from being a player in line to receive a contract with a signing bonus of well over $1 million to being an undrafted free agent who can make a maximum of $1.575 million over the next three years. Fortunately for Collins, the Cowboys were able to fully guarantee his three-year contract. In addition to his guaranteed base salaries for the next three years, Collins also has the potential to earn up to $400,000 per season through the NFL’s performance-based pay program, and could also receive a high-round tender for his fourth season in the league. In total, if Collins achieves the maximum potential earnings under his current contract, he will make as much money in his first four NFL seasons as some players taken in the second round of the 2015 draft will make over that same period of time. Collins’s situation was unique, but at the same time, it’s never surprising to see the Cowboys be a major player in the race for a highly sought-after free agent. Needless to say, the move to sign Collins was significant for the Dallas Cowboys in more ways than one. 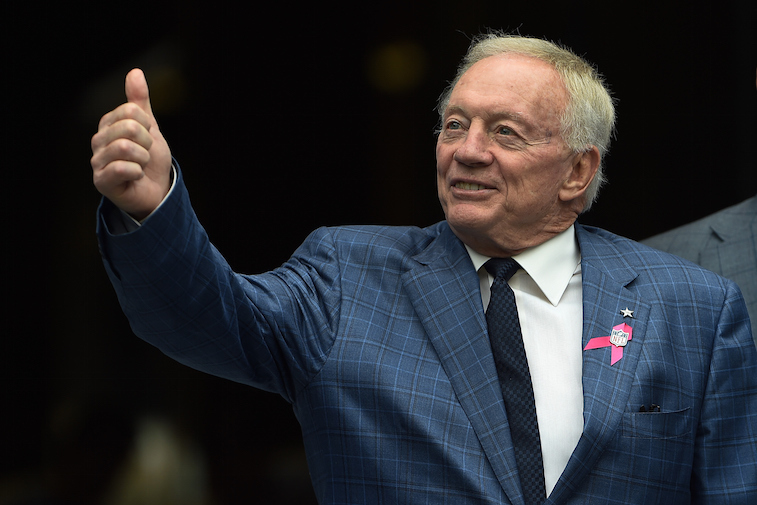 The Cowboys are in good shape in regards to their salary cap for the 2015 season. The outlook for the 2016 season is another story. The team restructured quarterback Tony Romo’s contract this offseason, making his cap hit for the upcoming season $14.973 million. That move alone opened up enough cap space for the Cowboys to function comfortably for the 2015 season. In 2016, Romo’s cap hit jumps up to $20.835 million. In addition to Romo, the Cowboys will also have to deal with massive cap hits for offensive tackle Tyron Smith ($14 million), cornerback Brandon Carr ($13.817 million), and wide receiver Dez Bryant — assuming the team is able to reach a long-term extension with the Pro Bowl wide receiver. Adding a player with Collins’s talent with his minimal price tag for the next three to four years was a flat-out steal by Cowboys owner and General Manager Jerry Jones. The news of Collins signing with Dallas had to be music to the ears of running back Darren McFadden, who was a free agent acquisition of the Cowboys this offseason. Jones has been enamored with McFadden since his days of playing for the Arkansas Razorbacks. When DeMarco Murray left the Cowboys to sign with the Philadelphia Eagles this offseason, Jones wasted little time in bringing McFadden into the fold. For those who don’t remember, when McFadden entered the league with the Oakland Raiders, he was viewed as a can’t-miss, once-in-a-generation-type of running back. He struggled with injuries and played on several really bad teams in Oakland, which resulted in him never completely fulfilling his potential in the NFL up to this point. Most people with knowledge of the situation are expecting McFadden to be the starter for Dallas in 2015, and for the first time in his professional career, the 27-year-old tailback will have the benefit of running behind a top-notch offensive line. In addition to Collins, the Cowboys already have three All-Pro caliber players in place: left tackle Tyron Smith, center Travis Frederick, and right guard Zack Martin. Their current starting right tackle, Doug Free, is no slouch, either. If Collins wins the left guard position and proves to be as good as advertised, the Cowboys offensive line in 2015 could easily be among the best in NFL history. If that proves to be the case, McFadden could end up have the best year of professional career this season. Only time will tell how well La’el Collins’s career will play out with the Dallas Cowboys, but at first glance, his signing looks like one of the best moves of Jerry Jones’s career as the team’s owner and GM.